Food insecurity affects people of all ages. But unique dietary needs related to aging, medical conditions, and impeded mobility make seniors particularly vulnerable to the insidious effects of hunger and poor nutrition. 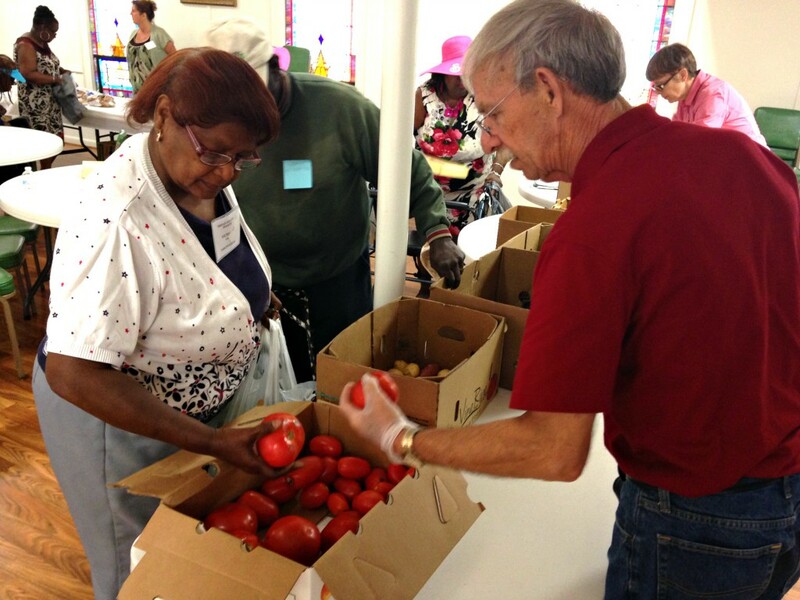 Across the 34 counties we serve in central and eastern North Carolina, more than 651,000 people live in food insecure households, and one in four of them are 65 years or older. According to the National Foundation to End Senior Hunger, North Carolina ranks among the top ten states with the highest rates of senior hunger. Our partner agencies serve thousands of seniors every week attempting to live—during what should be their golden years—on social security checks of $700 a month or less. These circumstances often force them to choose between paying for food or a lifesaving medication. In fact, 77% of the households we serve report choosing between paying for food or medical care, and many of these households have to make this decision every month. As a result, many seniors report watering down their food to make it last longer or purchasing inexpensive but unhealthy food in order to stay within their budget. Food insecurity is especially troubling for seniors with chronic medical conditions, as adequate nutrition and the ability to meet any special dietary requirements is crucial for preventing and managing diseases. Some seniors may have enough money to purchase food, but cannot drive to the grocery store or prepare a meal themselves. These seniors are more likely to experience depression, report a heart attack, develop asthma, and experience congestive heart failure. Seniors like Marjorie who we met at one of our partner agencies in Onslow County. She visits the food pantry three times a week. But she doesn’t visit three times a week just to supplement her own food supply. Marjorie also picks up food for her elderly neighbors who aren’t able to leave their homes and live on extremely fixed incomes. Two of her neighbors are sisters who are in poor health and cannot drive, and must resort to trying to find people to run errands for them. Without Marjorie, it’s very likely these two women would find their cabinets completely bare. May is Older Americans Month. To mark the occasion we urge you to raise awareness of senior hunger and join the conversation by sharing this post with your friends and family. Send an email or post to social media using the hashtag #SolveSeniorHunger and speak out for the thousands of seniors like Marjorie living with food insecurity in our region.